Any issues during your pregnancy? I had a few, unfortunately! I had high blood pressure during the last half of my pregnancy that was on the road to preeclampsia. I was on modified home bed rest from week 26 until I delivered. I was hospitalized overnight a few times for observation and the high blood pressure led to my early delivery of my girls. 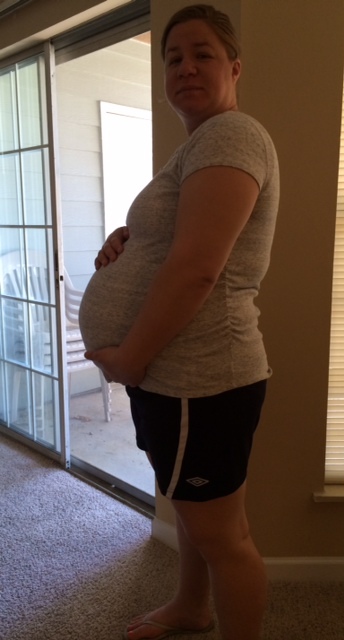 I also had gestational diabetes for the last few weeks of my pregnancy. Luckily, I was able to maintain it through diet. Memorable/funny moment when you were pregnant: I'd done a round of IUI on the day after Thanksgiving - we had to postpone all of our plans with family without revealing what we were up to over the holiday. We ended up enjoying a holiday festival downtown Chicago and spending time with each other. Did you have a c-section or natural delivery? 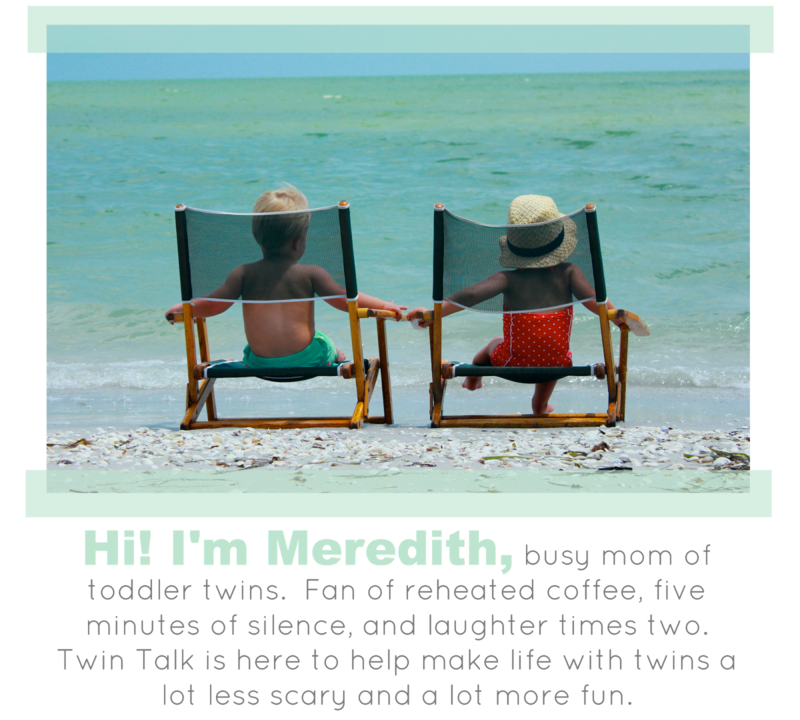 Because of my rising blood pressure and the twins' gestational age, I had a c-section. I wanted a c-section my entire pregnancy because I was afraid of the double-whammy (delivering 1 baby vaginally and delivering 1 baby via c-section). However, when I got to the day that I was to have my scheduled c-section, I started getting really scared of having this major surgery. It all happened very quickly, though and the girls were delivered healthy. Any NICU time? If yes, for what reason and how long? Yes - because of their gestational age they were feeder/growers. Harper spent 18 days in the NICU and Holland spent 16 days in the NICU. I would tell parents not to fear the NICU - it is an amazing place (although scary) with nurses that are amazing. 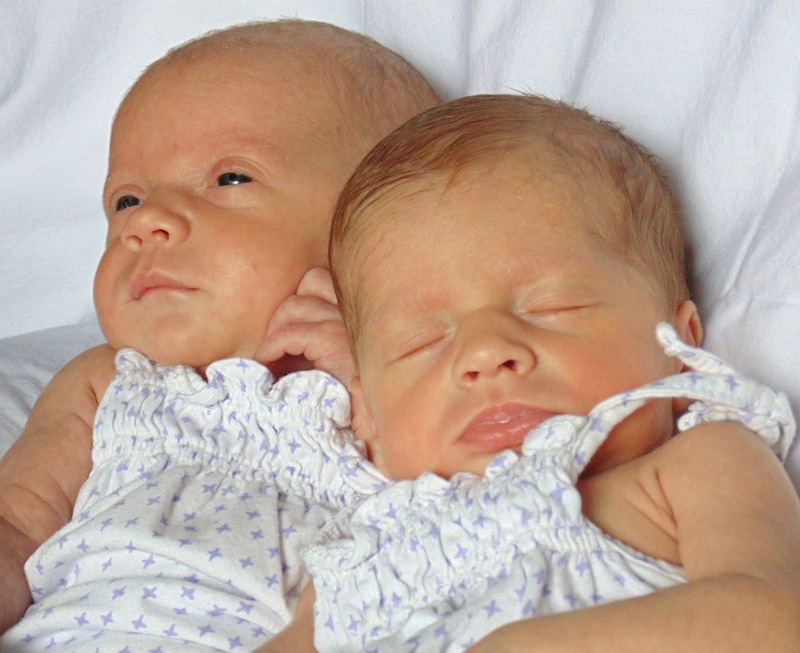 They care about you and your babies and will teach you things that are invaluable to having twins (getting them on a schedule, what their cries mean, etc.). We became pretty close with a few of our nurses and will always value the care they provided to our girls. Did you have any complications after delivery? Yes - my high blood pressure became worse after delivery and was at one point at 180/120. I received 4 different medications that were supposed to lower my blood pressure but did not do the trick. I had to be administered magnesium, which they warned me would not make me feel well and it didn't. It did finally lower my blood pressure, but I had to be sent to the ICU for 24 hours for observation - which means since my girls were in the NICU, I wasn't able to see them for their first 24 hours of life except for very briefly right after they were born in the OR. Face wipes! I wasn't able to get out of bed for 24 hours and so I was very glad to be able to "freshen up" with face wipes. Kindle - Because I stayed over night before my scheduled c-section and was in the ICU for 24 hours, my Kindle provided some entertainment during my downtime - and helped keep my mind off of not being able to see my babies! Soft pj pants - You have no idea how you'll feel after your c-section. There's not only the pain from the incision (which you actually do not feel until a few days later) but also internal pain. Soft pj pants alleviated any pressure to that area and helped you feel a little bit comfy after surgery. Describe one of your favorite moments while you were at the hospital: Hearing my girls cry for the first time. It was their first breaths on this planet and was the first time they felt REAL - like they were finally here!! I'm not usually a crier but hearing Harper's raspy cries and Holland's shrieks led to hot, fat tears down my face and I'll never forget that moment for as long as I live. If you had one piece of advice you could give an expecting mom of twins, what would it be? Don't stress out about all of the things you'll need when you get the babies home. We are all told that we will need twice the supplies - and you will but you don't need two of everything. Just stock up on diapers and wipes and the rest will come in time. Figure out what products work for you and your babies. Also - you cannot imagine the love you'll feel when your babies are born. Seriously. Your heart will expand and love like it's never loved before and you'll have two wonderful little people to call your own.